you can share with anyone anywhere. It’s easy! 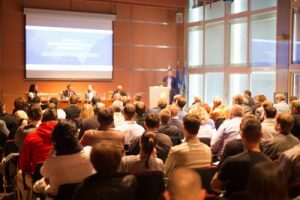 Your presenter is recorded on video, then video and slides are uploaded to our online presentation production platform where your meeting, seminar or conference presentations are turned into Talk-Decks – interactive two screen online presentations you can share with anyone, anywhere, anytime. Here are actual Talk-Deck presentations in use at the Online Investment Conference. Want to start making your own? 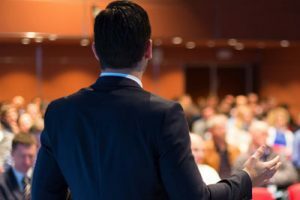 Any meeting, seminar or conference presentation can become a Talk-Deck online presentation. 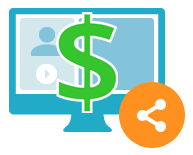 You can even monetize your content. Note: Talk-Decks can be either video, or audio-only. Got content others might be interested in learning from? Let’s talk. What makes a Talk-Deck unique? Talk-Deck recreates the experience of watching a live presentation because it features a great looking, screen-filling, user-friendly playback format and precise, user-controlled interactivity. It’s almost like watching a live presentation! Your slides will look like your original slides. Even the smallest text will come out looking sharp and clear. Colours and graphics will be rendered accurately so maps and charts will be readily understandable. Pictures will show what you want to show. 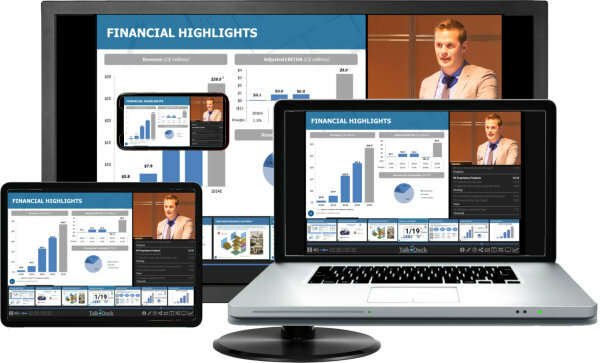 Sophisticated interactive control lets viewers precisely access any part of a presentation instantly, skip parts they don’t want to watch, watch other parts again and again. As a result, viewers feel in control of their presentation experience and interest, attention and memorability increases exponentially. Take your hand off the mouse for a few seconds and watch what happens: the controls disappear and all you see are the presenter video and the presenter’s slides. It’s almost as if you’ve got an interactive front row seat to the original presentation. What could you use a Talk-Deck online presentation for? become online learning tools with Talk-Deck. Now all those who couldn’t make it to the event can see any presentation they missed. 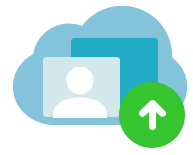 Turn live presentations into Talk-Decks and share your presentations with anyone, anywhere, anytime. 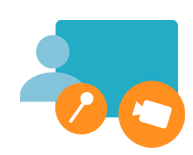 Record your presenter on video, then upload video and slides to our online presentation production platform. Within minutes you’ll have a Talk-Deck online presentation you can embed on any website, send out in an email, or post to social media. Help them remember their next training session. Turn it into a Talk-Deck. It’s hard to remember the details of a training session a couple of weeks down the road. 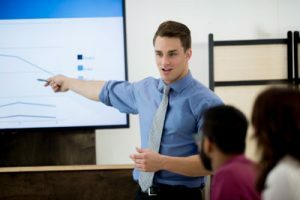 But turn any live training presentation into a Talk-Deck Online Presentation and they’ll have an e-learning tool they can refer to again and again. 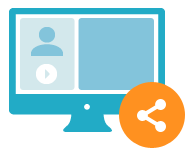 Simply record your presenter on video, then upload video and slides to our online presentation production platform. Within minutes you’ll have a Talk-Deck online training presentation you can embed on any website, send out in an email, or post to social media. Students remember more when lectures are turned into Talk-Decks. Classes are getting bigger, the pace is quicker, and students hesitate to ask questions about concepts they don’t understand. But turn any lecture into a Talk-Deck and they can review that lecture as many times as they want. Simply record your presenter on video, then upload video and slides to our online presentation production platform. Within minutes you’ll have a Talk-Deck online presentation you can embed on any website, send out in an email, or post to social media. Deliver your investor presentation once. Share it forever as a virtual road show. 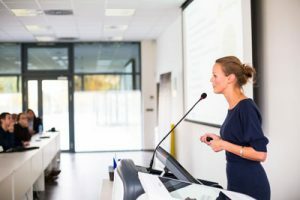 Whether it’s two presentations or two hundred, any meeting, seminar or conference presentation can be turned into a Talk-Deck online presentation. Your presenter is recorded on video, then video and slides are uploaded to our online presentation production platform where your meeting, seminar or conference presentations are turned into Talk-Decks – interactive two screen online presentations you can share with anyone, anywhere, anytime. 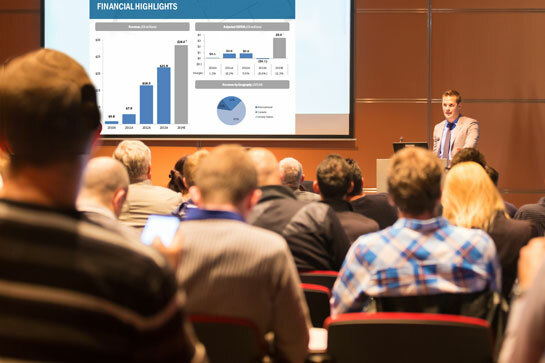 We’ll turn your next meeting, seminar or conference presentations into Talk-Decks. To learn more, click on the button below to have us contact you. ...or you can create your own. Sign up for a free account and create your first Talk-Deck in only 15 minutes. It’s that easy.